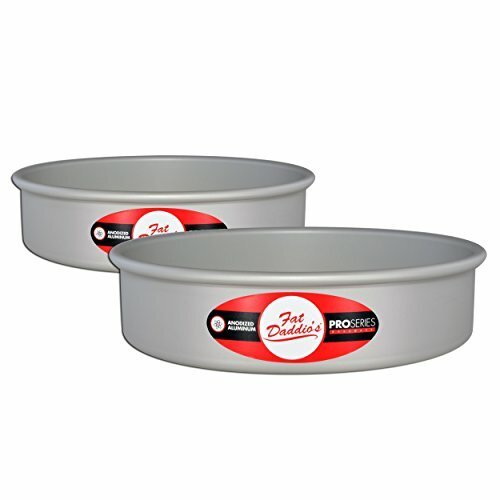 Fat Daddio's anodized aluminum bakeware reaches baking temperatures faster so your recipe can start doing its thing. Seamless, even-wall construction, produces consistent heating so your recipe turns out the way it should. No extra metal means quicker cooling times so your baking actually stops baking. Anodizing allows bakeware to become more. More durable. More versatile. Safe for citrus based foods and no cross-contamination. No extra metals, chemical coatings, or excuses for poor performance. Don't let bakeware limit your baking.